Remarks: Records since January 1909. Personal check or money order should be made payable to Vital Records Office. To verify current fees, the telephone number is (402) 471-2871. This is a recorded message. 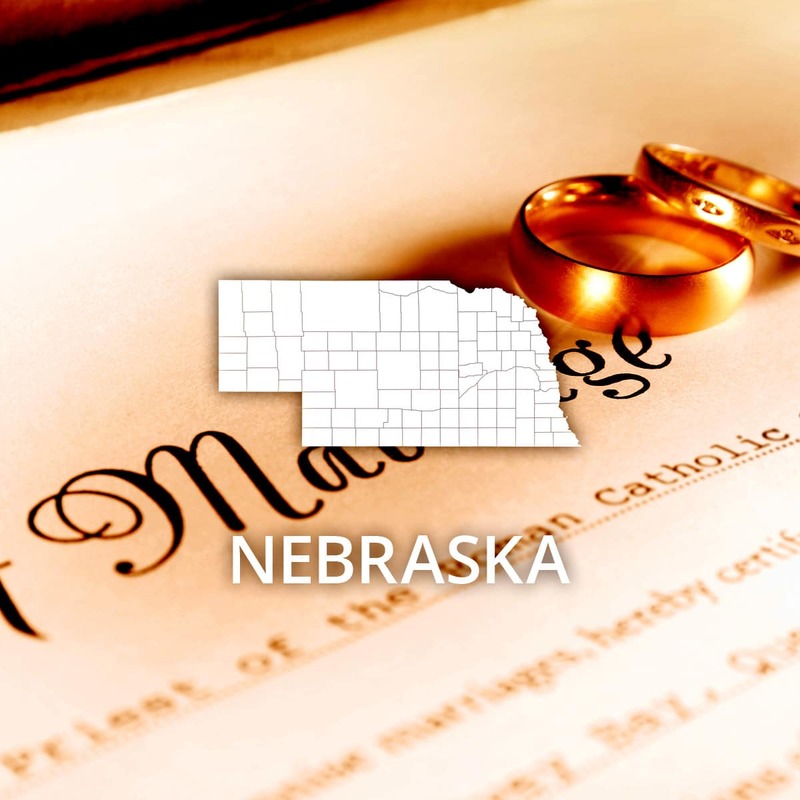 Information on how to obtain certified copies is also available via the Nebraska Department of Health and Human Services website. All requests must include a photocopy of the requestor's valid government issued photo identification, i.e.valid driver’s license, valid State ID card, valid passport or visa. Event: Marriage (County) Cost of copy: Varies Address: See remarks Remarks: County Court in county where license was issued.